LITTLE RIVER, CA – (June 1, 2016) – Mendocino is postcard perfect during the summer months, and to encourage visitors to enjoy this gorgeous time of year, theLittle River Inn (www.littleriverinn.com), a family-owned and operated resort on the Mendocino Coast, will offer a number of specially-designed lodging packages and events. In June, the Little River Inn is offering a FAMILY FUN FOR FATHER’S DAY GOLF package in celebration of Father’s Day and the favorite pastime for many dads, and due to popular demand, the Little River Inn’s ABALONE CAMP and RIVER DOGlodging packages return. In July, the Little River Inn will celebrate the stars and stripes with a MUSICAL CONCERT on Sunday, July 3, and an inaugural WHOLE HOG BAR-B-Q event on Independence Day, immediately following Mendocino’s 4th of July Parade. The RIVER DOG package is available June 1 – Oct. 31, 2016. Package for two begins at $660 ($860 with Spa Treatments for two), exclusive of tax and gratuity. Use promo code RIVERD to book online thru the webpage at:https://www.littleriverinn.com/. Once your reservation has been confirmed; give LRI a call to work out the details. Or, call 888.INN.LOVE or 707.937.5942. 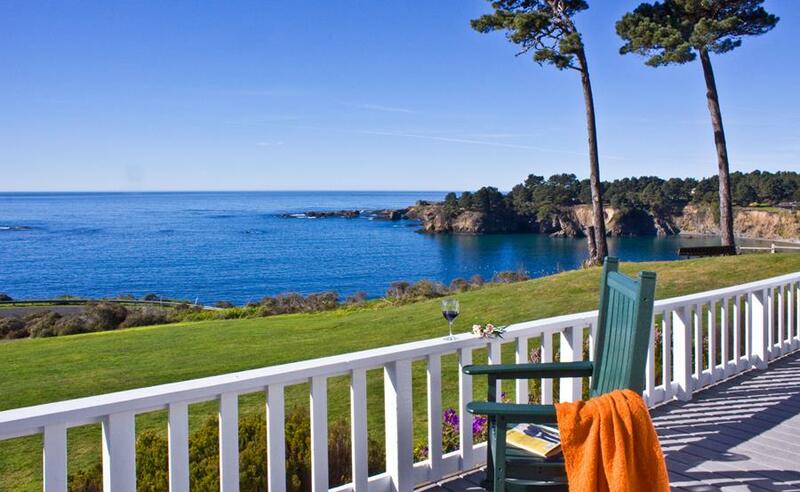 From the lawns to romp on to the beach across the street, to dining in the dog-friendly parlor, the Little River Inn is the perfect headquarters from which to explore breathtaking yet un-crowded Mendocino Coast with your furry friend. Advance reservations are required for booking. At least two days’ notice are required to make arrangements with the local canoe company to ascertain tide conditions for an optimal canoe experience on Big River. Don’t forget about Dad this June! This Father’s Day, get away and play a few rounds of golf with pops on the only course located on the Mendocino Coast. Tucked among the hills and redwoods, the nine-hole course at The Little River Inn (an Audubon-certified sanctuary) offers stunning ocean views to distract both first-time players and experts. With the Little River Inn’s FAMILY FUN FOR FATHER’S DAY GOLF package, beginners and experts alike can hone their game in a one-hour group lesson with the inn’s head Golf Instructor, Wayne Salyards, before hitting the course. Dads can share their love of the game while the family enjoys the Audubon certified and beginner-friendly course. The FAMILY FUN FOR FATHER’S DAY GOLF package is available the week of Father’s Day from June 19 through June 26, 2016. Packages for four begin at $1,575 ($393.75 per person), exclusive of tax and gratuity. To book this package online, visit www.littleriverinn.com, and use promo code: GLFDAD, or call 888.INN.LOVE (707.937.5942). Also in June, the Little River Inn will be offering its 2nd annual ABALONE CAMPexperience from Sunday, June 26 to Tuesday, June 28, 2016. The ABALONE CAMPpackage offers avid divers and novices alike a rare opportunity to dive with some of the most renowned freedive guides in the region for the prized local delicacy during Northern California’s peak Abalone Season. The dive will be followed by a demonstration on how to clean and prepare the collected bounty, culminating in a gourmand feast prepared by the Inn’s chef. Note: Package pricing does not include Abalone Diving License. Guests MUST purchase a license prior to the dive. Additionally, one abalone per diver must be donated for the communal dinner, additional abalones caught the day will be for the diver’s keeps and properly packed for legal transport. Package Rates begin at $618 per person for a single occupancy room or $393 per person for a shared room (excluding tax and gratuity). To add a non-diving guest to your reservation, rates start at $108, excluding tax and gratuity. A limited number of spots are available to participants. Reservations are based upon availability and require a 7-day notice. Room upgrades on are available with all packages at an additional price; based upon availability. One-hour massages can also be added to packages at the time of booking. Enjoy a classic, relaxing massage using a creative blend of techniques by their highly trained professionals from the newly opened Little River Salon & Spa. To kick-off 4th of July festivities and a long holiday weekend, the Little River Inn is will be hosting a MUSICAL CONCERT on Sunday, July 3, in the Abalone Hall to benefit the Albion Little River Fire Department. Attendees will enjoy music by some of the next generation’s most acclaimed singer-songwriters along with Mendocino musicians, including Gwyneth Moreland Song Circle featuring Jeffrey Martin and Anna Tivel, Gene Parsons, and David Hayes. Doors open at 3 p.m.; music starts at 3:30 p.m. Tickets are $20 in advance and can be purchased by calling 707-937-5942, or $25 at the door. To round-out the holiday weekend the Little River Inn will be hosting its first-annualWHOLE HOG BAR-B-Q at the fire pit at the Little River Inn Golf Course followingMendocino’s Annual 4th of July Parade. The inn invites guests and locals to come and nosh on some 4th of July fare while relaxing on the course. Tickets costs $16 per person and include BBQ Pork or Veggie Sloppy Joe sandwich, coleslaw, and corn bread. Beer and wine will also be available for purchase. To purchase tickets in advance call 888.INN.LOVE (707.937.5942).